Clear back in 2012 there was a little gem called Rainbow Moon. It was a tactical role playing game that had a great artstyle and both fans and critics agreed that it was a fun game (we gave it a 9). It wasn’t too much longer after that a sequel, Rainbow Skies, was in the works. It was slated to release in 2014, unfortunately it was delayed several times. 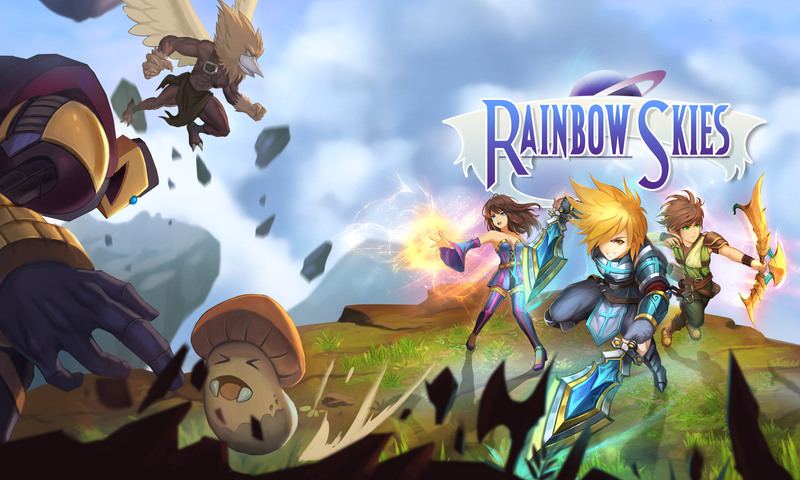 After a long time coming, Eastasiasoft Limited announced an official release date for Rainbow Skies. And it looks like it’s going to stick this time. Rainbow Skies boasts all the rpg goodness that made the first game such a delight. The release date is set for June 26th. Just like the first game, Rainbow Skies will be cross save and cross buy for PS3, PS4, and Vita. Also, if you are interested in physical copies they are offering those too. But only through Play-Asia. They’ll ship on launch day but you can pre-order now.